What exactly is “mystery dough”? I figured the recipe I had from my late grandmother Jessie’s files had just enough information to create something, armed with my years of amateur baking and cookbook reading. This is all of Jessie's recipe for "mystery dough". This pursuit of trying to figure out a cryptic recipe brought back a reference to “Biblical exegesis” in an undergraduate literature class years ago. I wondered why the professor was referring to “ex of Jesus”, when that did not make any sense to me (as far as I knew, He did not have any “exes”). Later, I discovered that the word meaning a critical interpretation, analysis, or explanation, especially of the Bible. One must practice exegesis diligently in fleshing out a recipe, too! 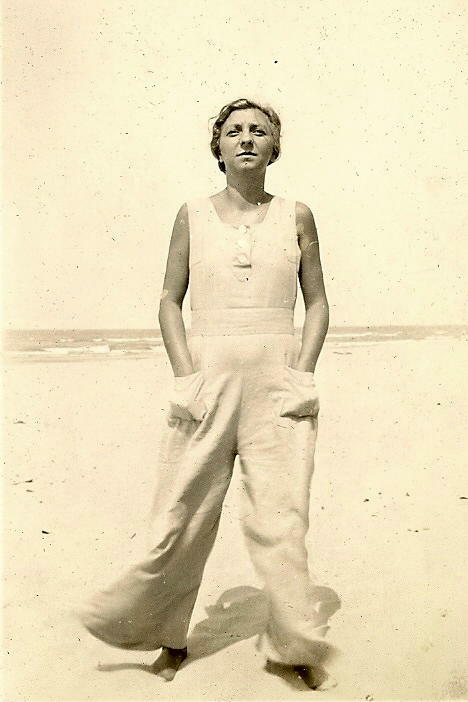 A confident, stylish Jessie knows mystery dough's secrets (ca 1935). So, like a Biblical scholar or literary critic, I had the barebones for resurrecting, or, I should say, recreating the recipe. Armed with some vague memories of my grandmother’s baking preferences, I also recalled her liking the Czech pastry, kolachkes, as they were known in the western suburbs of Chicago. The kolachkes (AKA, kolaches, which I have spotted in Vancouver) have a buttery-cream-cheese-based dough, so I wonder if this recipe was for that very rich pastry, often apricot-filled. Mise-en-place for the three "mystery dough" ingredients. Apricot (top) and strawberry mystery dough pockets are cooling. The result? The pastry is rich, flaky, and tender – and why would it not be, given that it’s 50% cream cheese, 25% butter, and 25% flour? It complements the fruit filling nicely. I would consider making these in half the size for a smaller cookie-like item, but this size works well as a turnover for dessert – and would be all the more extravagant with ice cream. 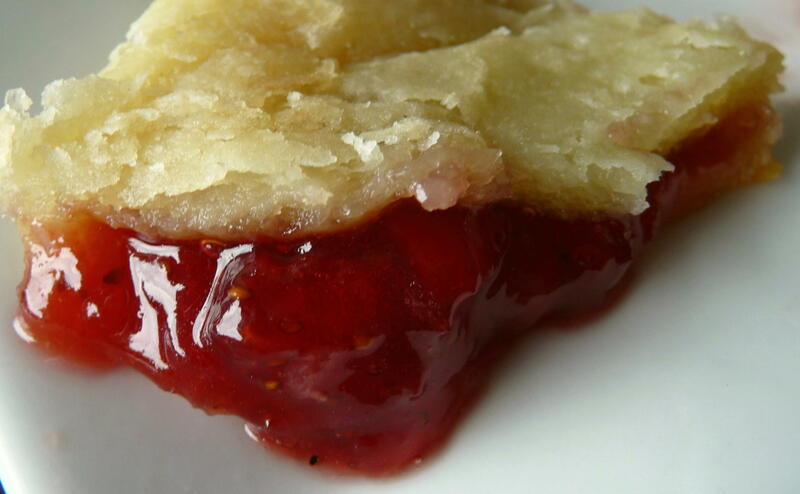 The jam filling goes on one half before crimping into a triangle. One change I would try next time is to be more careful in sealing the dough and then refrigerating the finished pastry triangles prior to baking. 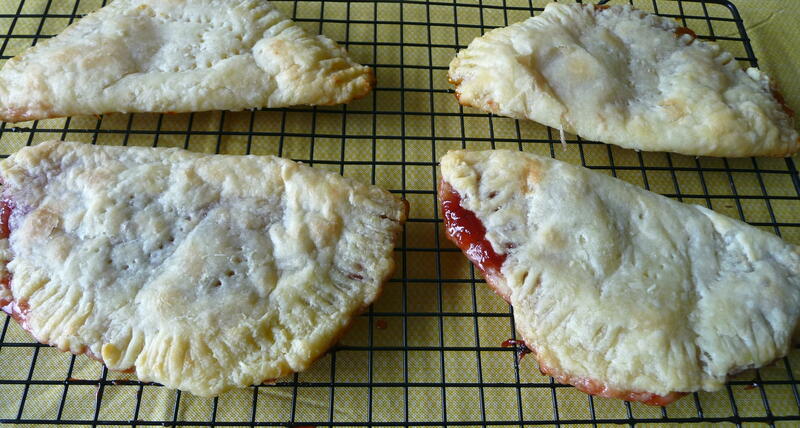 The fillings did ooze out, as is the case with home-made pop tarts, I gather. This “mystery dough” made, nevertheless, a wonderful, satisfying yet simple dessert. Now the mystery dough is no longer a mystery to me, at least, and, despite the sleuthing required, it is a memorable – if unintended – retroactive gift from my grandmother. 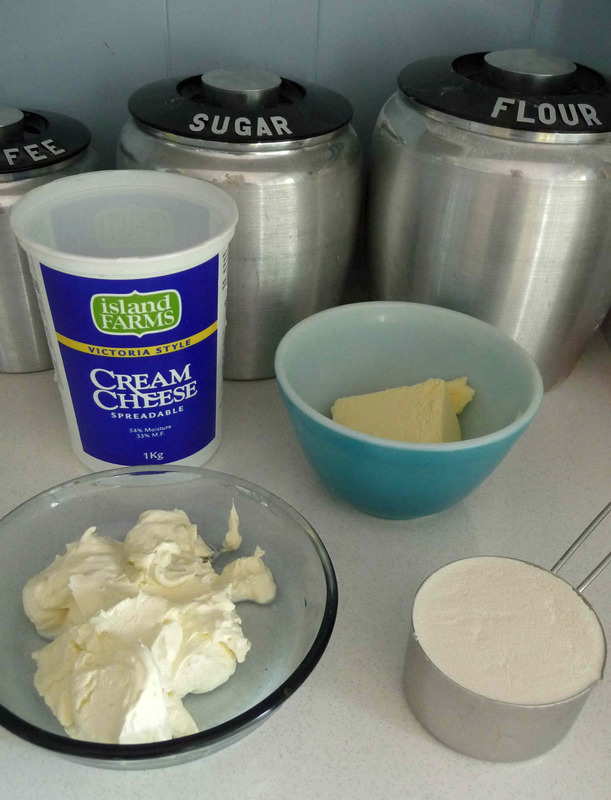 Mix flour, butter, and cream cheese in stand mixer, just until blended (about one minute). Turnout dough onto counter, cutting board, or other surface and form ball; flatten dough into disk. Refrigerate for several hours or place in freezer for 30 minutes to an hour. Remove dough from fridge or freezer and divide into four equal pieces. Roll each piece into a square of dough, approximately ¼” thick. Place two tablespoons of jam (your choice!) on one side of dough, as if it were two triangles, filling the jam on one triangle to about ½ ” from the edge. 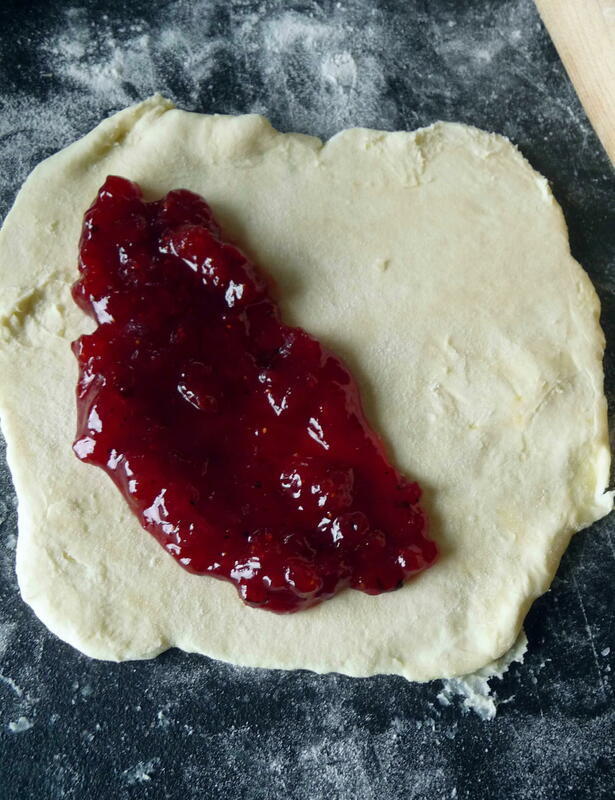 Fold plain dough triangle over jam triangle side and crimp edges with tines of fork (or fingers). Make sure to seal carefully and completely. Adjust rack to lower-middle position. Bake on parchment paper or silicon-lined baking sheet for 20-25 minutes or until just starting to become golden brown. Cool on wire rack until just warm or room temperature. 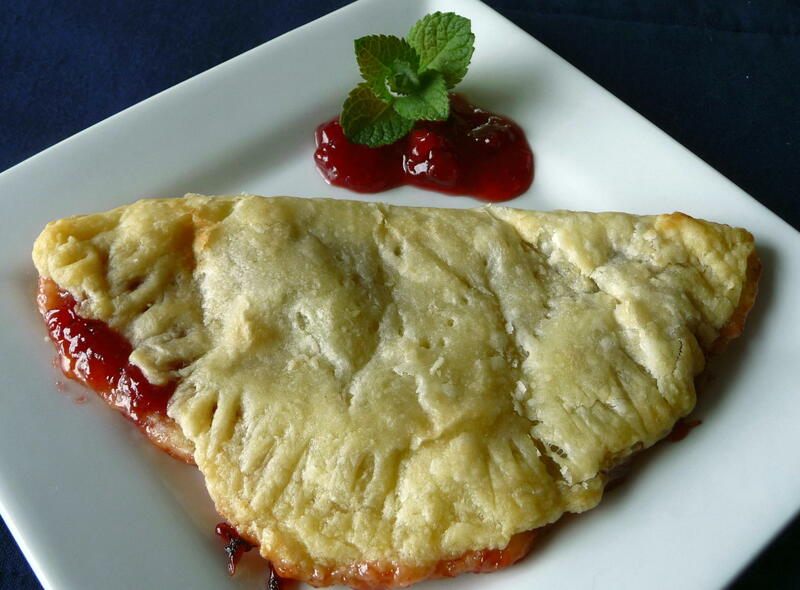 Eat and revel in the solved mysteries of Jessie’s delectable pastry pockets. 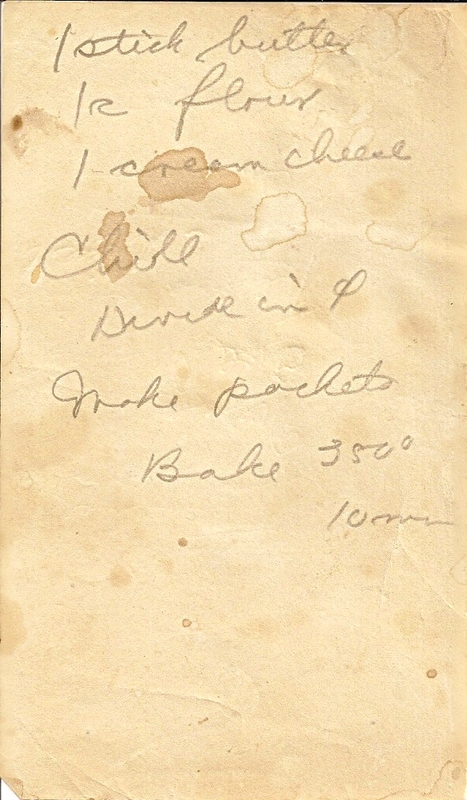 This entry was posted in Baking, Dessert, Recipes Misc, What Would Jessie Dish and tagged flaky, jam, Pastry, tender, Vintage Recipes, WWJD. Bookmark the permalink. I like the recipe for the dough. Great photo. Thank you for sharing. Thanks for stopping by, Madin. I appreciate your nice remarks! Hi, Jax. Thanks for the compliment. We’d laugh and eat and laugh or laugh and eat, together in my kitchen (and we’re just about in “Amurika” where you want to live…). I thought at first you were making pie. The pastries look delicious (I’m a sucker for almost any flaky, buttery food! 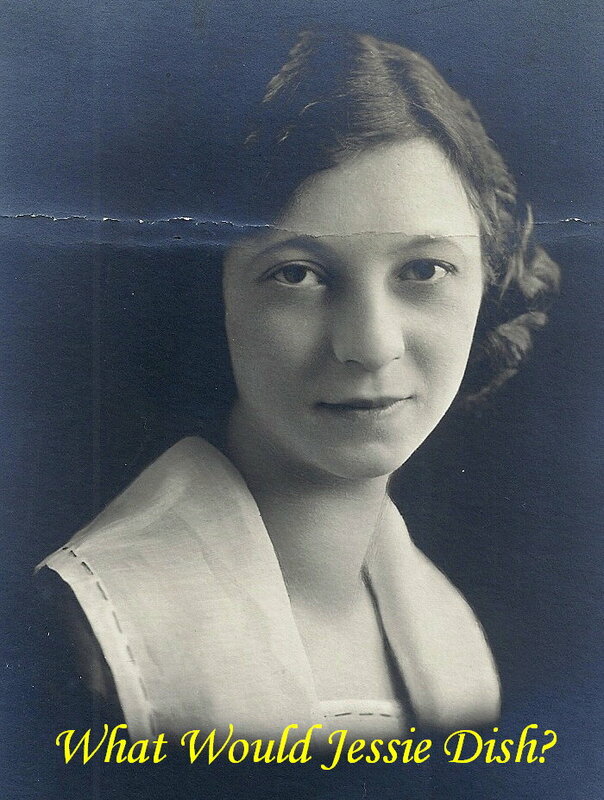 )…And that picture of your grandmother is awesome (I love old photographs)! I really like your blog a lot. I love the history, the photos and the handwritten recipes. This is why I first became a blogger…to preserve my mom’s German recipes. This dough looks awesome. I’m adding it to my “to try” queue. So nice of you so share. Excellent pastry recipe. Writing it down! Sounds absolutely delicious! It’s funny how our parents handwriting, or grandmothers’s from that era look the same, I could have sworn, my mom wrote out that recipe!